Carpeting is a huge investment and needs to be effectively cared for to maximize its lifespan. To make certain that a carpet lasts as many years as feasible, it is vital to have carpet cleaning done by experts. Otherwise microorganisms grow deep within the carpet, which in turn could induce unfavorable health problems. If carpets are not preserved in between expert carpet cleaning, the carpets life-span will be reduced. Below are some tips that could help home owners keep their carpets well maintained in between professional carpet cleanings. Vacuum On a regular basis – Generally carpets should be vacuumed no less than one time a week (a lot more typically in high traffic areas). Routine vacuuming prolongs the life of a carpeting by stopping the develop of grime that wear down carpet fibers. The texture of a carpeting will likewise determine the amount of care it needs. Making a vacuum schedule is a creative strategy to remind people in the household to be proactive in taking care of the carpeting. Family size, kind of carpeting, and foot traffic determine just how frequently the carpeting ought to be vacuumed. A schedule positioned on the fridge could serve as a friendly reminder. Beware When Taking out Discolorations and stains – Carpeting spills create an obstacle when cleaning a house. Before trying to remove a stain speak with a professional carpeting cleansing firm for insight. Consulting an expert is a wise choice to stay clear of extra damage to the carpeting. Avoid Utilizing Carpet Deodorizing Powders – Contrary to public opinion, carpeting deodorizing powders do more damage than people think. 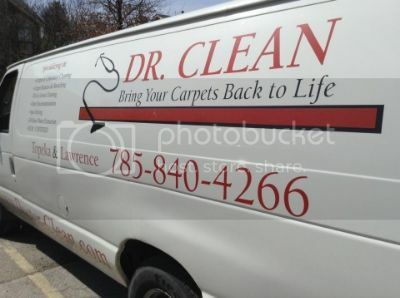 They can leave the carpeting looking unclean and could also cause a white stain. Spend more for a Higher Quality Carpeting Pad – Just as residences really need sturdy foundations to continue to be solid, carpeting really needs top quality pads to maintain long life. Lots of individuals invest in low-cost pads to save cash, however affordable pads cause carpeting fibers to fail and causes early wear. 5. When unsure, Call the Pros – Experts have developed, effective, and affordable procedures for cleaning carpets. A trusted specialist can provide a great deal of benefits to the consumer. The value of normal upkeep on carpeting can not be overstated. Adhering to the ideas in this short article will assist increase the long life of a carpeting, reduce health-risks, and save the consumer money and time.